First of all let me apologise for A) the lateness of this post and B) the lack of a post last week, I was prepping to leave for London and trying to get all my podcast editing sorted so I didn't have time to write anything. I spent this weekend just gone with the lovely damselgaming on press passes at Eurogamer Expo in Earls Court and we played many, many games. Many thanks to Eurogamer for letting me attend for free! If you want to hear about the general feel of the expo and some of the odder experiences I had while there feel free to listen to episode 17 of my podcast (wow that's two plugs in one paragraph, it must be pretty good!) which will be out later on this week. I've decided to keep this week's post purely review based so I don't ramble on too much. So without further ado lets play some vidya gamez! Let's get this straight: Dishonoured feels a lot like a spiritual successor to Thief, one of my all-time favourite PC game series so obviously I enjoyed it. In the short demo mission that was on offer on the gaming floor I was tasked with sneaking into the lab of an alchemist, kidnapping him and getting him to an extraction point. If you read damselgaming's review you'll see that she took a very different path to me but accidentally ended up on the right track towards her objective (a testament to good game design). I however chose to follow the game's prompts and sneak my way in over the rooftops using a combination of darksight (allows you to see enemies and their FOV through walls) and short range teleport to avoid and evade guards. I was impressed by how non linear this felt; even though I was following instructions and moving towards a waypoint I could take basically any route along the roof tops I wanted and nothing was out of bounds. My powers all also had very short cool downs and very little mana usage so I could use them as tools as opposed to powerful one shots to escape. I eventually made it to the lab, killed the guard on the door, snuck inside and sleep darted the alchemist without revealing myself. I then - carrying his body - teleported off a fire escape into an apartment next door, and realised my extraction point was across an unguarded courtyard below. No problem, quite an exposed area but I just had to sprint it. 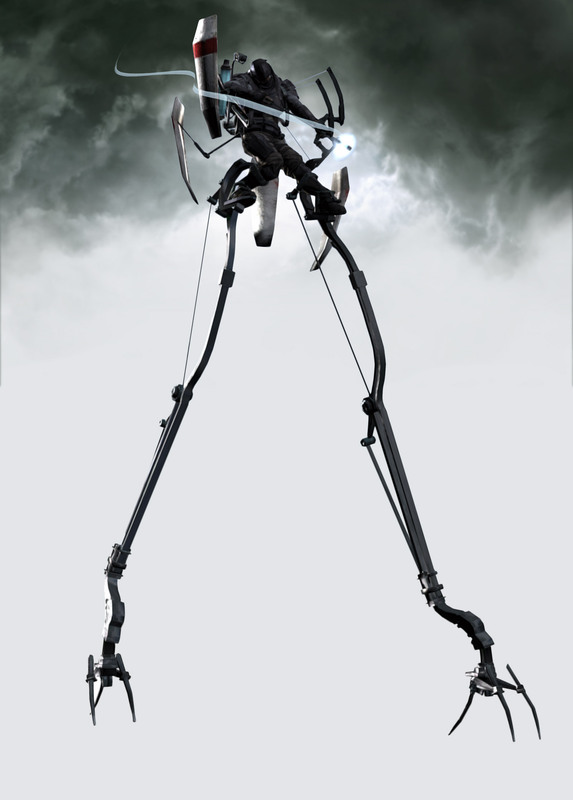 Then from the left of the building I heard a strange WHIIIR CHUNK, WHIIIR CHUNK, WHIIIR CHUNK sound and a Tallboy (shown above) strode into view. I decided to try and avoid him and teleport to an adjacent rooftop but missed the jump and fell to the courtyard right next to him. He instantly turned towards me, articulating his armour plates to face me so small arms couldn't damage him. He drew back the strings of his bow and fired an explosive arrow at me. I froze time. Everything stopped, his deadly arrow hung in the air, I dashed between his legs and - still holding the alchemist's unconscious form covered his exposed back in sticky grenades. After a few seconds time sped back up to normal pace and the Tallboy exploded spectacularly. I did not look back. Dishonoured surprised me because it's the only stealth game I've played where discovery doesn't feel like the end of the world but you always feel hunted and in danger. It's slick, stylish, full of character and appears to be playable in any manner of ways. The setting borrows a lot from Thief as does the gameplay (if you want it to) but it would appear Dishonoured is standing on the shoulders of giants, not retreading old ground. Play it. Dante's lines appear to be written by a much smarter person with English as their first language. He's much more bearable and occasionally genuinely funny. A first for me. The game world is phenomenal. The idea is that you're trapped in a city where the local government and media are all demons in disguise so everything starts off looking like any old american metropolis but the moment a CCTV camera sees you everything twists, stretches, deforms and splits creating a hellish other-world not unlike that seen in Silent Hill. Then the bad guys turn up. Then you violently murder them. The environment also actively works against you; streets twist into truncated dead ends as you try to advance and walls press in on you prompting quick thinking platforming sections. These improvements have actually made me want to buy a DMC game for the first time just because I want to know what Ninja Theory are going to do with it. Unfortunately there was no single player demo for Halo 4 at Eurogamer which is a shame because it looks like its going to be pretty damn good. All we had was the multiplayer demo map which was mediocre at best. It felt clunky, unresponsive and shallow. While all the other console FPS developers have been innovating and tweaking to offer the best multiplayer experience possible Halo appears to have changed the colour of some of its guns, reskinned the energy sword and gone "welp! Pub anyone?". I did not enjoy it and was let down by the lack of single player epicness. I'm not sure who the're selling to but it's not me. play, immersive, exciting and fun. Crysis 3 appears to be more of the same but in a good way. I had a go at it's multiplayer and things have changed very little, some new weapons and perks but the core things that made playing online in Crysis 2 are sill present. I played a round of my favourite game mode Crash Site which was as anarchically fun as I remember followed by a new game mode called Hunter. This pits a large team of non augmented soldiers against two invisible nanosuited Hunters with bows and arrows. The bows were very powerful and accurate but had a slow projectile speed and reload time. The normal soldiers also had motion trackers which bleeped when Hunters were close. It was balanced, tense and simple enough to pick up quickly. I thoroughly enjoyed it. Let me start by saying that I didn't complete the Hitman Absolution demo running on the game floor and I'm fine with that. I'm used to Hitman being quite unforgiving and difficult and I'm glad they chose not to dumb it down. Most of the tension in Hitman comes from knowing that one wrong move, one errant twich, one body left unhidden can ruin hours of quiet, deadly work and removing that difficulty would undermine the spirit of the series. One rather hilarious mistake involved me accidentally taking an innocent bystander hostage at gunpoint prompting the huge crowd around me to totally freak out. I laughed so hard I almost fell of my chair then restarted the mission. Speaking of crowds the masses of people in hitman are the best I've seen since Heavy Rain; they move, flow and interact like real people; that is until you spook them. Then they start moving like scared fish. Almost as if they have a collective conciousness. It's quite unnerving. 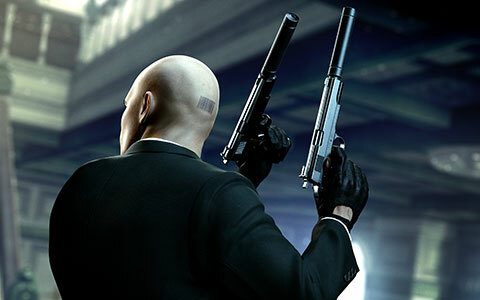 Dodgy crowd dynamics aside Hitman Absolution is tough, crisp and tense. I cut my gaming short not because I had had enough but because I knew I would be there for ages casing the locale of my assassination finding escape routes and firing angles. I was afraid I would get too into it and I'd have to be kicked out at closing time. This was the only game I played all weekend that made me feel like that. was and having to try and search for them while simultaneously trying to defend against surprise attacks was a tense juggling act that I was never very good at but it stuck with me. As a result I was very excited to give X-COM: Enemy Unknown a go; it was the first game I played of Eurogamer Expo. I am pleased to say that 2K games have stuck to the original's turn based format - a bold move in today's fast paced world - and it has totally paid off. The single player has also kept lots of important mechanics such as the focus on base building and research as well as combat. The combat itself feels exciting and fast paced while still turn based. You can do things like order your troops to go into overwatch so they shoot the enemy as they move in their turn or use suppressing fire to pin them down (an action that results in squad members blind firing from cover during the enemy's turn). I loved it. Fans of the original will love it and so will anyone else who likes squad based combat with a touch of global strategy. the AC3 demo I played was slick, smooth and above all soulless. It was basically a bit meh. Read this review to find out more. So there's no mistaking that Blops2 was the headline act of Eurogamer Expo: it had a massive 50 person gaming arena set up that took up about a 5th of Earls Court's floor space with it's own bouncers (to keep the kids out) and a massive queue. I was expecting it to be kind of rubbish after all Halo 4 and AC3 were both massive let-downs, why would this be different? It was the Nth COD game set in the near future and MW3 had turned out to be an insipid boom fest so I was expecting less than impressive multiplayer gaming. I was very surprised. To begin with Blops2 only allows you to take 10 items into battle if your playing online. That includes weapon mods, perks, streak rewards, grenades and equipment. This makes for some tough choices. Do I want a scoped semi auto rifle or the Extreme Conditioning perk? Can I really afford to not take any grenades if I need a powerful side arm pistol? This adds an extra layer of strategy before the game even starts. Once the bullets start flying though everything feels tighter, brighter and more responsive than other COD titles, it would appear that Blops2 really takes the Xbox360 to the outer limits of what it's capable of without sacrificing much in the way of frame rate. I did terribly (I'm not great with console shooters) but I managed to steal another team's Care Package and got my hands on a Death Machine. Then the party really started. 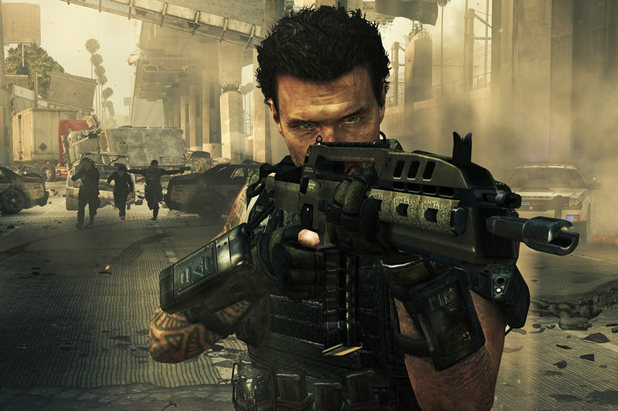 Over all I was pleasantly surprised by Blops2 and with rumours of a branching single player story and multiple endings abound it looks like the single player campagin could be just a surprising.